Established in 1986, Hughes-Castell (Hong Kong) Limited was the first legal recruitment consultancy in Asia, providing in-depth coverage of the Asia-Pacific region. Currently with 4 offices in Hong Kong, Singapore, Beijing and Shanghai, and our network of associated consultancies around the world, we offer our clients unrivalled in-depth knowledge and advice on individual markets. Hughes-Castell has pioneered legal and compliance recruitment not only in Greater China and ASEAN, but also in developing markets and was the first specialist firm to recruit lawyers in places such as Vietnam, India, Korea and Thailand. Our strong reputation and our trusted brand name gives us unparalleled ability to engage top-level legal talent in a broad spectrum of industries and commerce, including top Fortune 500 corporations, banks and international law firms. Our philosophy is to build long-term relationships and to add value beyond pure recruitment. At Hughes-Castell, we define success by the quality and tenure of our placements. We understand the importance and value of continuity to a company and our track record in placements exceeding 10 years tenure is unrivalled by any other legal recruitment firm in Asia. Kobre & Kim is an international law firm serving as special counsel in disputes and investigations, with a focus on representing Asia-based clients in complex high-profile, multijurisdictional disputes and investigations. The firm leverages the skill and experience of Hong Kong solicitors, former U.S. federal prosecutors, U.S. litigators, English solicitors and barristers (including three English Queen’s Counsel), and offshore attorneys operating out of offices in Hong Kong, Seoul, Cayman Islands, British Virgin Islands, New York, London, Miami, San Francisco and Washington DC. Kobre & Kim’s global team includes a diverse group of professionals with local experience and native language skills, including Mandarin, Cantonese, Korean, Japanese, and Hindi, among other languages. LexisNexis® is a leading global provider of content and technology solutions that enable professionals in legal, corporate, government and academic institutions to make informed decisions and achieve better business outcomes. We were the first to bring legal and business information online with international renowned Lexis® and Nexis® services. In Hong Kong, our new practitioner online solution , Lexis® Practical Guidance, is now paving the way for local, workflow-based know-how content. For 180 years, McGuireWoods has provided the highest quality legal service and sound strategic guidance. Clients include public and private companies, private individuals, and government and nonprofit organizations around the world. 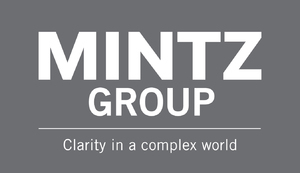 The Mintz Group is an investigative services firm that gathers hidden business facts all over the world for corporations, law firms, financial institutions and non-profits. We specialize in fact-gathering on behalf of publicly-traded companies, financial institutions and law firms and their clients before relationships, during disputes, and after allegations of fraud. Internationally, we have conducted investigations for clients in more than 110 countries. We have offices in the U.S., Africa, Europe, Central America, and opened our first office in Asia in 2011. Randall Phillips, Head of the Asia practice and Managing Director of our Beijing regional head office joined the firm as a 28-year veteran of the Central Intelligence Agency and most recently the senior U.S. intelligence officer in China. Mourant Ozannes is one of the leading offshore law firms advising on the laws of the BVI, Cayman Islands, Guernsey and Jersey to the world's leading financial institutions, public companies, corporations, fund promoters, insolvency practitioners and private clients. We have a presence in each of these jurisdictions as well as offices in Hong Kong and London. In our four jurisdictions, no other offshore law firm has more top tier directory rankings than Mourant Ozannes (Chambers & Partners, IFLR1000, Legal 500, 2015). Many of our lawyers have practised with leading law firms in London, New York and Hong Kong bringing with them a wealth of knowledge and experience in their respective fields. Our lawyers in Hong Kong provide extensive multi-disciplinary and in-depth legal advice across a range of practice areas including corporate, investment funds, banking and finance, capital markets, contentious restructuring, insolvency and litigation. Paul Hastings is a leading global law firm with a demonstrated commitment to China. Through its offices in Beijing, Hong Kong and Shanghai, the firm advises a wide range of corporate clients and funds making investments in Chinese businesses. The firm also represents clients based in China in pursuing significant outbound investments in the U.S., Europe and Asia and in raising capital in the international capital markets. The firm’s leading M&A practice has been recognized for its involvement in high-profile cross-border transactions, including China Life’s US$4.5 billion investment in a U.S. logistics portfolio and Beijing Shouhuan Cultural Tourism Investment’s US$3.3 billion joint venture and establishment of a Universal Studio theme park in Beijing.